The storied Delta Queen riverboat appears headed for a return to cruising after a decade of forced retirement. The U.S. House late Tuesday approved the Coast Guard Authorization Bill, which includes language reinstating an exemption allowing the Delta Queen to return to service for the first time since 2008. The last remaining hurdle is the signature of President Trump. 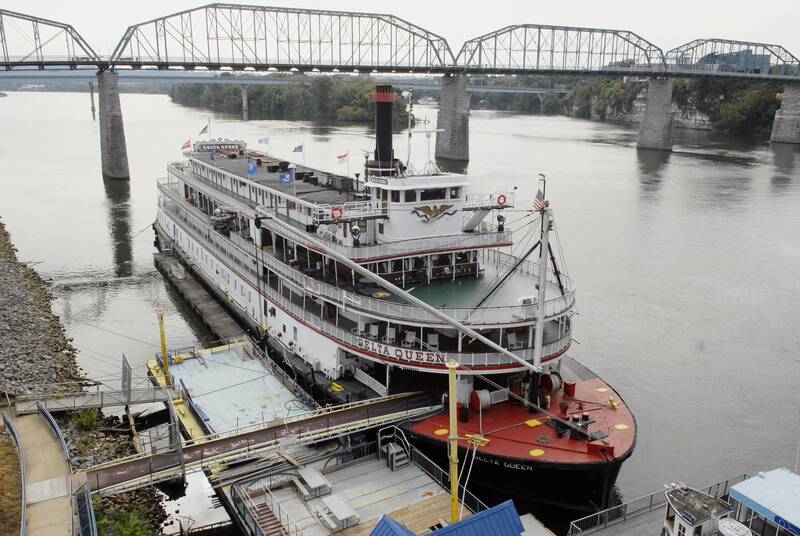 "With this approval, we may now move forward with our renovations and return her the waterways, where she belongs," CEO Cornel Martin said in a news release. The company said the renovations will cost $10 million to $12 million. Delta Queen spokesperson Albert Waterhouse said Wednesday that people are anxious to take to the water, though it remains unclear when ticket sales will begin. "We've been getting phone calls from all over the world for years," Waterhouse said. "We got calls from the U.K. today. We got calls from Japan, Europe. They just want to know when tickets are going to be available." McCaskill said the return of the Delta Queen "means tourists up and down the Mississippi can once again enjoy the rich history of one of our historic landmarks" while also creating jobs in the St. Louis area. The riverboat company is based in Kimmswick, Mo., 24 miles south of St. Louis.